Have you considered web directory submissions as part of your SEO strategy only to shy away from them out of concern that they no longer offer value? It might be time to reconsider. While it’s true that some web directories are little more than link farms, it’s important to remember that not all directories are created equal. Others focus on quality listings and they offer real value. Let’s look at some of the reasons to submit your site to directories and how you can separate the gems from the link farms. 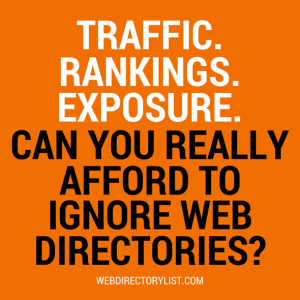 Why Submit Your Site to Directories? 1. Web directories can help you improve search engine rankings. That’s true as long as those links come from trusted, human-edited directories that offer real value to their visitors. As an example, think of niche directories like those featuring industry-specific professionals. Their main value is to visitors who browse their directories. That, in turn, makes them more valuable to the sites they list. 2. Web directory links can lead to direct, highly-targeted traffic. Well-targeted traffic is always a good thing, whether you’re selling products and services or working towards other conversion goals. Because directory users are looking for something specific, that means you’ll only get traffic from people who already want what you have to offer. 1. Explore the directory’s approved links. Pay particular attention to listings in the category or sub-category that’s most relevant to your website. If the directory approves sites of a questionable nature, it’s probably in your best interest to stay away. 2. Examine “authority factors” for the web directory. This includes things like Domain Authority, the age of the directory, who owns the site, and whether or not it seems to have been penalized by search engines. If the owner of the directory has a questionable past or if the site doesn’t show up in Google at all, consider those warning signs. Note: In the past, Google PageRank would have also been a good authority factor. A site’s PR used to give us some idea of how Google valued a website. However, PR hasn’t been updated in nearly a year. And that was the only update in around a two-year period. Given that John Mueller recently said Google doesn’t plan to update toolbar PageRank in the future, it’s time to move on from this metric. 3. Look into who the directory really targets. Make sure the directory works to attract visitors other than just webmasters submitting their links. If they only care about increasing submissions, they’re more likely to be a link farm. A directory with true value brings in other visitors to use the directory. Some ways directory owners can attract a broader group of visitors would be having a blog, releasing e-books or reports, offering tools relevant to the directory’s niche, or running a popular newsletter. If you’re ready to reconsider directory submissions as a part of your marketing or SEO strategy, spend some time browsing Web Directory List. We run a niche directory ourselves, and our main goal is to connect you with directories that can benefit your website and your business. Note sure where to begin? 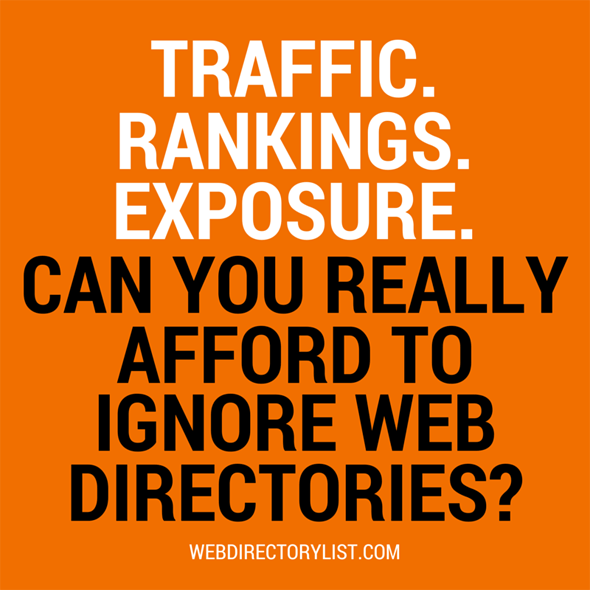 Get started with our list of the best web directories.